And, after perusing the agenda, here’s a preview of a few of the sessions I’m most looking forward to this year. 1) Ann Handley, @annhandley: Without fail, Ann’s at the top of my list. Even more exciting? She’ll be giving a brand new keynote this year (I know this because I subscribe to her newsletter). She’s always a highlight of the event for me, bringing her quirky insights to one of the topics closest to my heart, writing and creating content. Can’t wait to see her again live. 2) Doug Kessler, @dougkessler: It’d be hard not to love Doug’s down-to-earth—yet unique—perspective on content. His session, “The elephant in a nutshell: We need to talk about metaphors in marketing,” is a must for writers and content creators. “Let’s strap Metaphor to the lab bench of scrutiny and tickle out its secrets,” reads the description. Of course, we want to hear more. 3) Andy Crestodina, @crestodina: What can be said about Andy? He’s one of the best content marketers out there. I’ll never forget the first time I heard him speak at CMWorld 2016. He pretty much blew my mind. He’s also one of the nicest people you’ll ever meet. His session this year is, “Content Strategy and SEO for B2B Lead Generation.” It’s sure to provide valuable takeaways for those seeking to drive demand. 4) Christopher Penn, @cspenn: Although this will be my first time seeing Christopher present, I’m a BIG fan. He’s one of my favorites to follow on social media. I’ve always admired his data-driven take on marketing and PR. His session is, “How To Use AI To Boost Your Content Marketing Impact.” Can’t wait for this one. 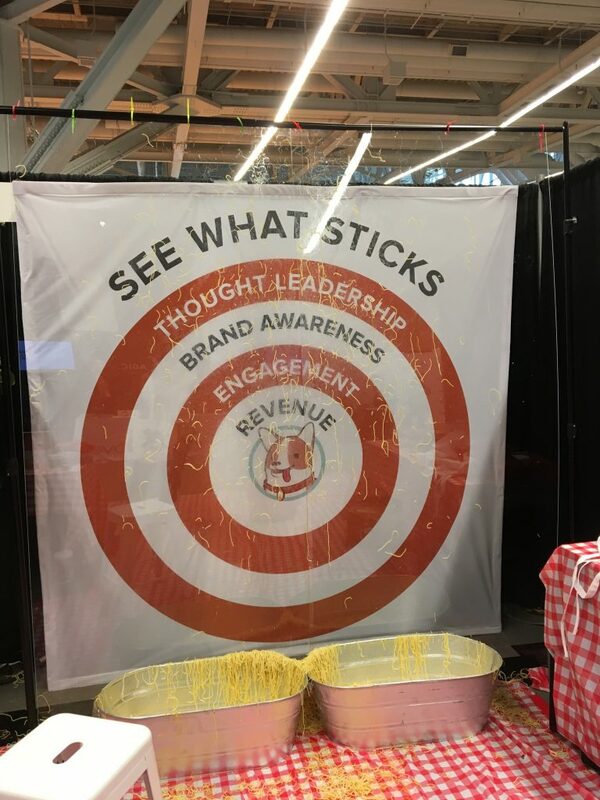 5) Joe Pulizzi, @joepullizi: Joe sort of “retired” from #CMWorld after last year. He even took a nine-month sabbatical, including from social media (although he’s made a few appearances here and there recently). It’ll be great to see Joe in action again when he presents his keynote, “Uncovering the Secrets to Life and Marketing (While Living in Cleveland).” We’ve missed the Godfather of Content Marketing’s wit and wisdom. 6) Kathy Klotz-Guest, @kathyklotzguest: I was on a #CMWorld Twitter chat with Kathy recently and was impressed by her creativity and out-of-the-box ideas on how to jazz up your content. No wonder she’s into comedy – she used to be a technology exec! And you HAVE to be brilliant to be this funny. 7) Scott Monty, @scottmonty: Scott’s been on my radar since I became a member of the American Marketing Association years ago. I heard him speak last year on the importance of newsletters, but that’s just one topic on which he’s an expert. This year, he’s presenting, “Five Paths to Knowing Your Customer & Putting Them at the Center of Your Content Marketing Efforts.” Should be another can’t-miss session. 8) Ian Cleary, @iancleary: Another of my favorites, Ian provides practical advice about strategies and tools to help you get your content seen. His session, “A Content Promotion Framework with Actionable Tips to Optimize Results from your Content Marketing,” promises to be full of useful takeaways, as always. 9) Stephan Spencer, @sspencer: Stephan is an SEO expert and co-authored, “The Art of SEO.” I “met” him on a #CMWorld Twitter chat and have since interviewed him. I can tell you, he’ll wow you with his digital marketing knowledge. 10) Tina Fey: Naturally, I have to give a shoutout to Tina. When I saw the announcement that she was the closing keynote speaker this year, I did a happy dance! I admire her for many reasons, but maybe one of the biggest is that she started out behind the scenes as—guess what?—a writer. She really “gets” the importance of content and she’s smart AND funny – the total package. These are a just a few of the folks I’m most looking forward to seeing present at this year’s #CMWorld. Will I see you there? You’ve dialed up the pressure. The likes of Handley, Pulizzi, Crestodina and Monty are no-brainers.